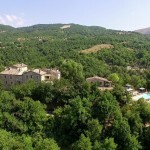 L’Antico Convento (originally called Mincione) dates back to the 12th century, when it reigned over many hectares of vineyards, olive groves and grazing land due west of Monte Acuto. 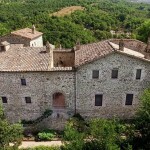 Monte Acuto is a pyramidal-shaped mountain which rises 927 meters above the Umbrian landscape and can be seen from practically anywhere in the Province of Perugia. 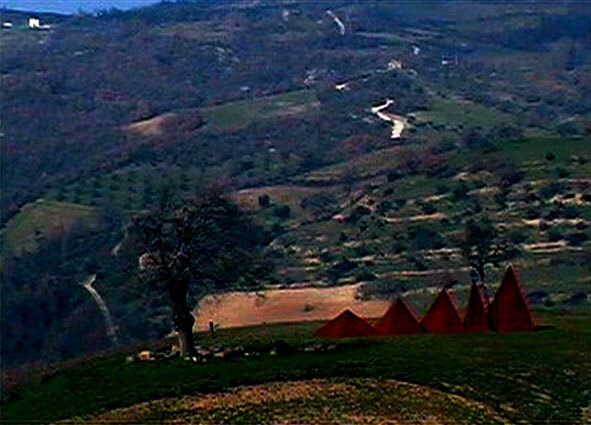 The builders of Il Convento may have been aware of the energetic properties attributed to this mountain, since earlier Etruscan inhabitants had built a temple at its peak. Very little is known of Mincione’s first inhabitants except that someone carved a Coptic-style Cross on Mincione’s major 13th c. arch. A smaller cross was also carved by that same person, probably the mason who built the arch. 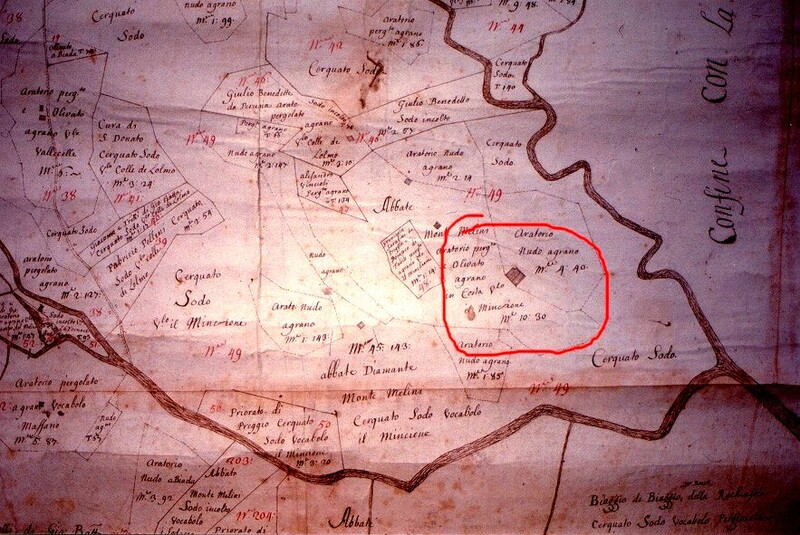 Water was most probably drawn from the Roman artesian well which still exists on the side of the road which still leads to Convento Mincione today. 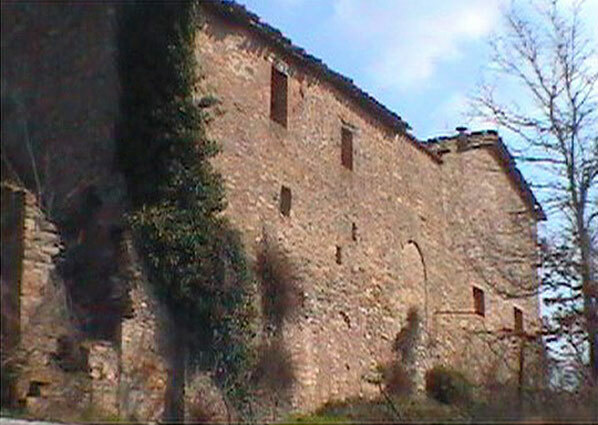 Local folklore recounts of a connection between the five important medieval structures of the area: the Church of San Bartolomeo dei Fosse, Monestevole Castle, the Inquisitors Palace in Preggio, Convento Mincione and Bisciaio Castle (see photo right) which was used by monks in the Middle Ages to house abandoned/ illegitimate children. 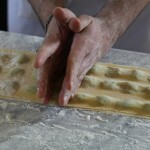 “Bisci” means bastardi (bastards) in Umbrian slang. The exact story is speculation. 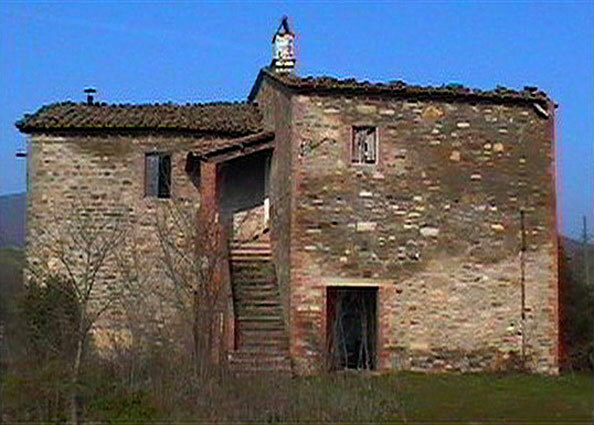 In most recent history, from 1937 to 1967, Mincione was the home the Alunni family, a large family of contadini (farmers) consisting of a mother, father and seven children to be exact. By 1942 – 1944, the family, minus the father who had died some time earlier, survived a German Army occupation of the structure by “making themselves useful”; they provided food to the occupiers. 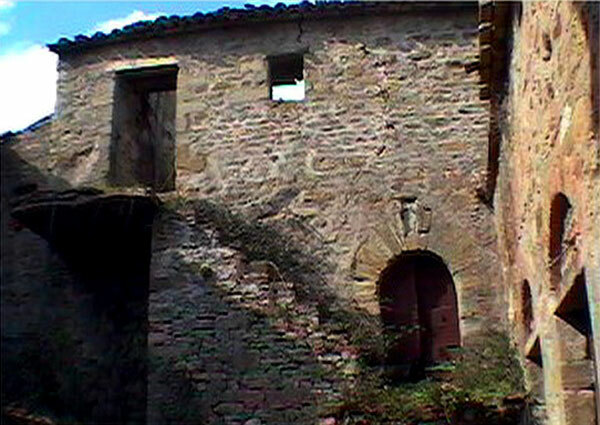 In 2003, the five surviving children of that family (now in their seventies and eighties) came to see what had been done to their “old convent”. They told of how they lived and worked here during those thirty years; where they kept the animals (chickens, pigs and cows) and the games they played as children. The game they remembered most vividly was ‘walk the plank’ (which probably made their mother’s skin crawl, since the plank was laid from the second story window of the granary to the roof of the pig sty across the courtyard.). 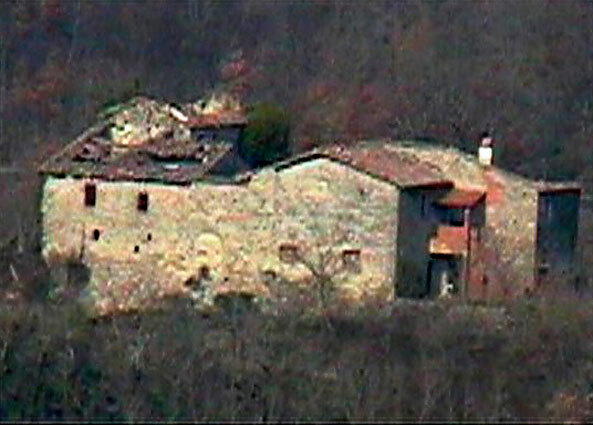 The Alunni family abandoned the property in 1967, when they moved to Perugia which was the trend at the time.